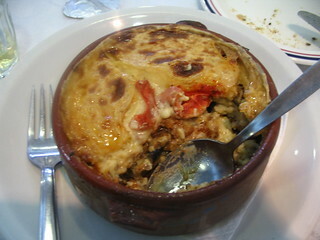 Here’s a quick guide to some popular Greek dishes. Of course everything is going to taste so good if you’re on holiday in Greece eating outside with a lovely view. 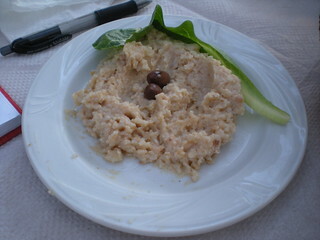 This is a dip made from fish roe (eggs) and olive oil, usually served a a starter. Tzatsiki is another popular Greek dip/starter made from strained yoghurt, grated cucumber and garlic. This has to one of the best known Greek dishes; made with minced lamb, aubergines and potatoes topped with rich cheese sauce. 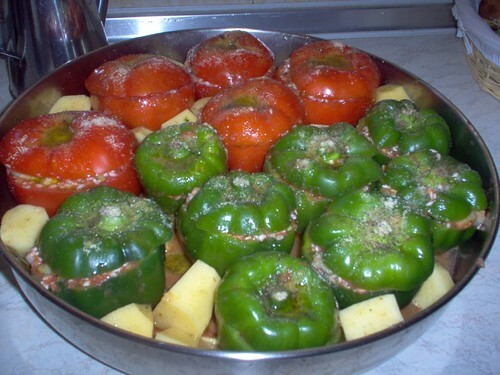 These are oven-cooked stuffed vegetables, often tomatoes, marrows or peppers. 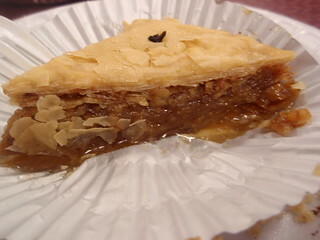 This can be a meal in itself as it usually contains feta cheese. However, restaurant owners are not keen on tourists who only order a salad. It’s traditionally eaten from one large bowl in the centre of the table with everyone sticking their fork in. 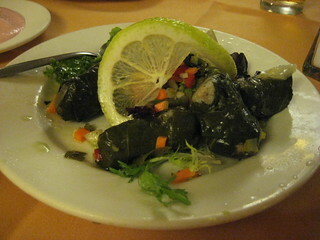 The stuffing in these vine leaves can either be vegetarian with rice and vegetables, or meaty. They’re best served with egg lemon sauce, sometimes with Greek yoghurt. 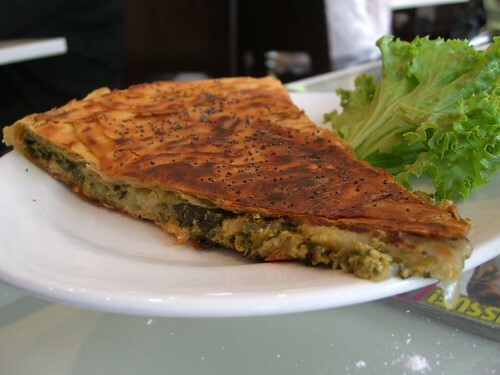 These flaky pastry spinach and feta cheese pies make a delicious snack. 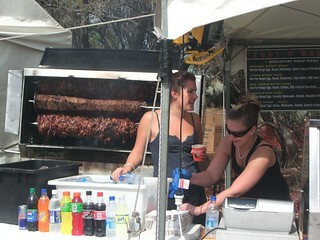 Souvlaki consists of meat cooked on a skewer. This is served in restaurants on the skewer, or as takeaway with the meat with some vegetables or salad inside pitta bread. A real treat for those with a sweet tooth, this pasty dessert is full of chopped nuts and fruit, smothered in honey. In many restaurants in Greece you’ll be brought an extra, free, sweet treat, such as fresh fruit or some cake, when you ask for the bill.